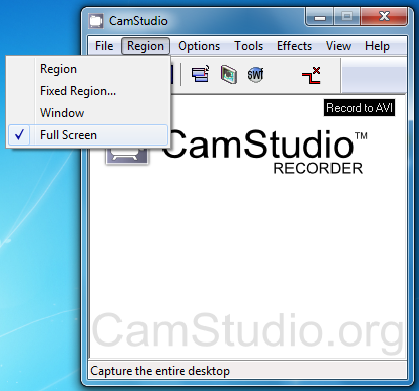 Download and install "Cam Studio". 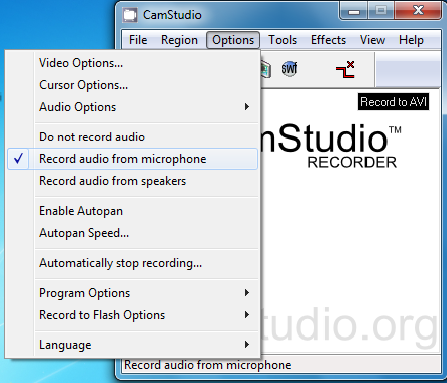 Make sure to test Cam Studio before you make a recording you want to keep! 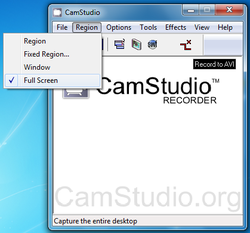 This is what Cam Studio looks like when you first run it. 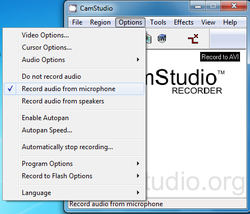 Plug in your microphone before the next step! 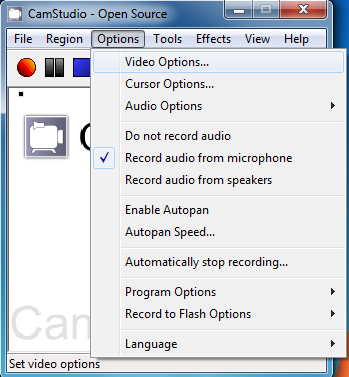 The default video format is "Microsoft Video" which will give you a 2GB video after about 90 seconds. This is high quality, but will crash if you go longer (and won't tell you until afterwards). So, save yourself the pain and be sure to select a different codec. 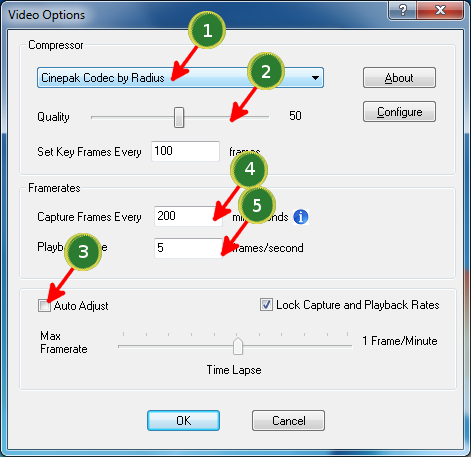 I had great success with the "Cinepak Codec by Radius". Here are some ways you can capture longer video --- but it means less "frames per second" so don't click too quickly!!! Set your options like this image. Once you've tried one video, then experiment with different settings (like 100/10 instead of 200/5 above).